My youngest son just turned four not too long ago. And let me be the first to say that I find that hard to believe! It seems like only yesterday he was born. Or perhaps just taking his first step or saying his first word. How can he be four!?!? That’s just not possible. However, it’s true. He’s four. I have come to terms with that. And my oh my how he has grown. This past year alone he’s learned so much, and more and more he wants to be like his big brother. (Although there are plenty of times he can’t stand him, too). He wanted to do nothing but play, play, play. And it was fun. There are two churches in town that have indoor play areas, and seeing as it was raining, that’s where we went. The one was our first visit and it was HUGE! We’ll definitely be going back. We also went to an indoor McDonald’s play place. I mean, we were eating there so why not play there!?! He wanted to eat out for each of his meals. This was okay as long as it was nothing too expensive. And really, at his age, he only knows fast food. Although he’s been to some sit-down restaurants, he’s still far too young (and active and loud) to frequent them. Therefore, he got a cinnamon roll for breakfast, Taco Bell for lunch, and the aforementioned McDonald’s for supper. 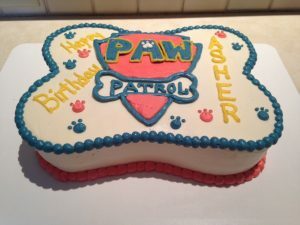 He wanted his favorite comfort foods for his birthday party meal, which took place a few days later. That consisted of cheese pizza, cheese puffs, red grapes, and chocolate milk. Simple, and yet, somewhat, sort of, a little healthy. LOL! He also wanted to go pick out his own stuff to put on his birthday list. I was actually kind of glad because that takes a lot of guesswork out of it. I basically took him to a local store, went up and down the aisles, and then he picked out what he really found interesting. Then I wrote it down, and shared it with all those who buy him something. He was a happy camper when he opened those gifts! My oldest got something out of it, too! When I took our birthday boy shopping, our oldest did a miniature golf date with his dad. This is something that worked out well, and we’ll continue to do this. Overall, I think he did okay with his choices. I know not all things may be the easiest or healthiest or smartest or cheapest or whatever, but you only get one day a year to celebrate. Why not live it up? It’s safe to say our boy did. And I believe it’s a good thing to let our children make decisions, I mean, as long as they’re not harmful/destructive in any way. Of course, with more important decisions, we’d be more involved, lol! Anyway, it has been a blessing for our youngest to be in our lives! One of the best things about him is that he gets actively involved with church and can memorize scripture easily. I can’t wait to see where God takes him and how He’ll use him for His kingdom. How can a book be big and small at the same time? Big and small are opposites of one another so it surely can’t be real, can it? I’m so glad you asked these questions because I am willing to explain what I mean in this book review. Yes, this book is big and small at the same time. When I say small, I mean that it’s technically a short story. I was able to read it within 20 minutes. This would be a perfect read for those on break, waiting in line, and/or just short on time. Now, when I say big, I mean that even though it’s such a short story, it packs a big message. Actually, there are two big themes present in this book that are relevant to today’s day and age, making for an excellent read. What is this book, you ask? Here it is! 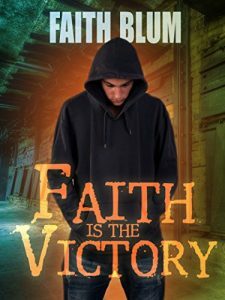 It’s called Faith is the Victory, and it’s by Faith Blum. 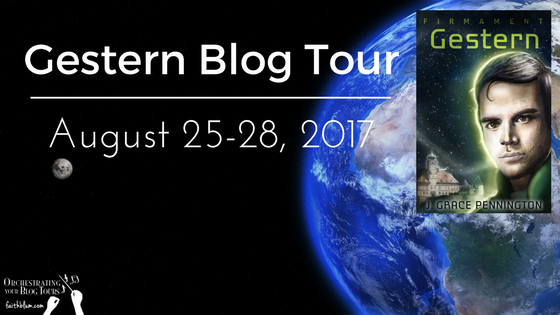 That name shows up a lot within my blog posts, mostly because she orchestrates blog tours that I participate in. This, however, is the first time I got a taste of her writing. I was not disappointed! And for FREE, you can also get a taste of her writing! 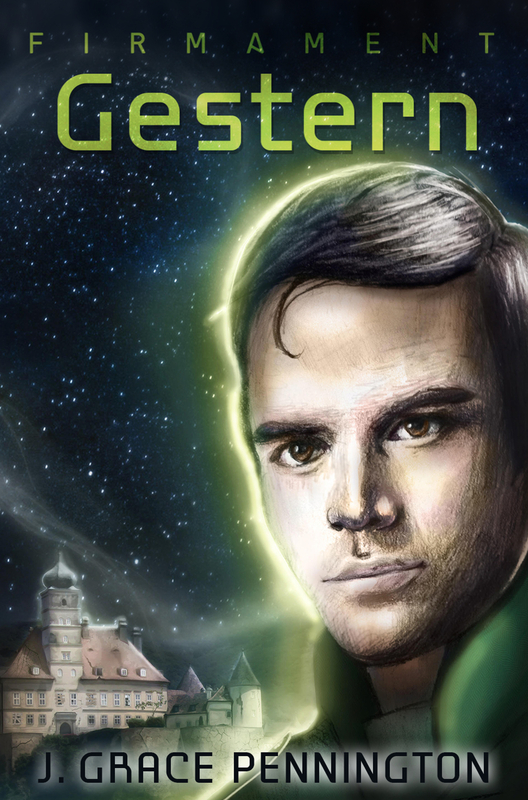 This short story is permanently FREE – you can find it HERE! To give you an idea of what makes this book pack such a big punch, here is the blurb, and then following that will be my own little remarks that share what I rated it and why. That’s not a lot information to know if you want to read it or not, is it? Let me give you a little bit more. This short story is about a teen who is going through a rough time in life. What makes it so much worse is the constant bullying he gets from school. We all know that bullying is a huge problem in today’s schools, right? Totally not cool. 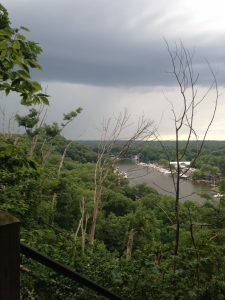 The second big topic discussed in this short story is suicide. The main character, with all his struggles and bullying, feels he isn’t worth going on. He takes it upon himself to end his life, or at least try to. Attempted suicide and successful suicide is no laughing matter. But it’s very real. It affects many, and not just those actually trying to go through it. In comes faith. Just at the brink of committing suicide, memory verses flood the teen’s mind, reminding him God is there. 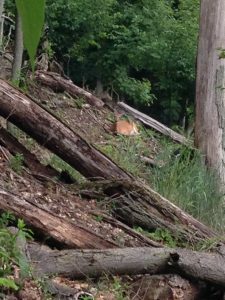 Slowly, but surely, he decides to live and becomes victorious over his life situations. I gave this short read four stars. Here’s why. I love the reality behind it. I love how faith was the victor here. I love how memory verses popped up, and I love how it was written in first person point of view. It was excellently written. It held my attention. I think the issue of why I didn’t give it all five stars, though, is two-fold. First, I don’t have a lot of experience with suicide. I do have experience with being bullied, though. Never fun. But it was a different type of bullying so with not fully connecting on those two big topics, I felt overall my connection to the story was not as deep. And these two topics can be a little tough to read in general. And second, being as short as it is, there’s just not much of a chance to get much out of it. And really I don’t mean any of this negatively. I’d recommend the book for sure. And who doesn’t like a book where faith reigns?!? That message is crucial! For FREE, you can’t go wrong. So give it a try! Maybe it’ll be the type of book that can help you or someone you love! And as a side note, if you or someone you know is dealing with bullying or suicide, please seek the appropriate help you need! For Christmas last year I asked for wind chimes. We had just recently moved into a new house, one we consider to be our permanent (forever) home. I’ve always liked wind chimes, especially the ones that are bigger and deeper sounding. So when it came time to make a Christmas list for my in laws (the only people I have to make a list for), I knew this is what I’d put on it. Which I finally had to breathe a sigh of relief because I never know what to have on my Christmas list! As Christmas came last year, it was my turn to open one of my gifts. It was a box. But it wasn’t a heavy box so I was a little clueless as to what was inside. When it was opened, there was a note. The note talked about how my in laws wanted to get me a wind chime, but instead of picking out something they thought I’d like, they wanted me to pick out my own. Now, as if that wasn’t cool enough, what made it sweeter was that they wanted to make a trip out of getting a wind chime. They wanted to treat me and the family to Shipshewana (a heavily Amish town) for the day. 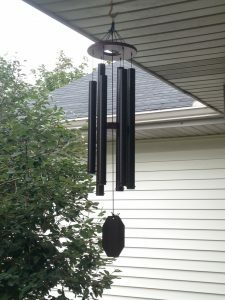 Shipshewana and the Amish are well known for great, handmade products so I knew that a wind chime from there would be perfect! I share all of this because we finally got our trip to Shipshewana done! Actually we got it done back in June, but since then I’ve been super busy that I didn’t have time to create a post. The day was fun! It started out a little crazy because my husband decided to follow his GPS from his iPhone. Most of the time GPS’ work well. This time, we made it to our destination, but we were taken way out in the boonies first! It made for quite the interesting experience! While there we visited some unique shops, got some Amish goodies, did a buggy ride, and ate a healthy lunch. What is so cool about the place is that I feel like I’m back in time, although cars are still heavily present. I also find it fascinating how many flowers there are. It’s so beautiful. The place is truly magical, and if you ever get the chance to visit, I’d recommend it. This is the wind chime that I came home with! It is called Song of Solomon. I never knew wind chimes had their names, but apparently they do. And this name holds a special place in my heart. At our wedding, the passage read was from Song of Solomon. So I just think that’s cool that the one I ended up liking the most had that name. It’s deep reds and blacks, colors that match our new home perfectly. And the sound is so beautiful. I wish that pictures had sound with them so that I could share with you all the melodic noise they make. One bonus is that this beauty comes with a lifetime guarantee! Can’t get better than that. Every time I look out my window and see my wind chimes dangling in the breeze or each time I hear the chimes ringing, I don’t just see/hear wind chimes. My in laws gave me something more than that. They gave me memories of the day that we went to get the wind chimes. 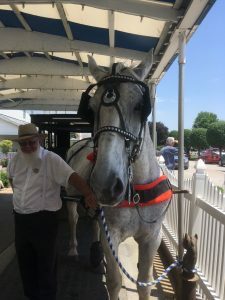 I won’t forget about petting the huge Clydesdale, or meandering through specialty stores, or feeling like I’m in the middle of nowhere as we traveled south, or the many other things I got to experience that day like riding in an Amish buggy for the first time!!!! In fact, here’s a pic of our horse and driver! It’ll also serve as a reminder of my marriage ceremony! It’s neat how God orchestrates certain events and things to bring up pleasant memories of things long ago. I can actually see it being sort of like a wedding ring…a visual to symbolize a vow that was made. Have you ever had an experience like this? Has something ever reiterated something from your past? Or how has God done something really cool in your life?